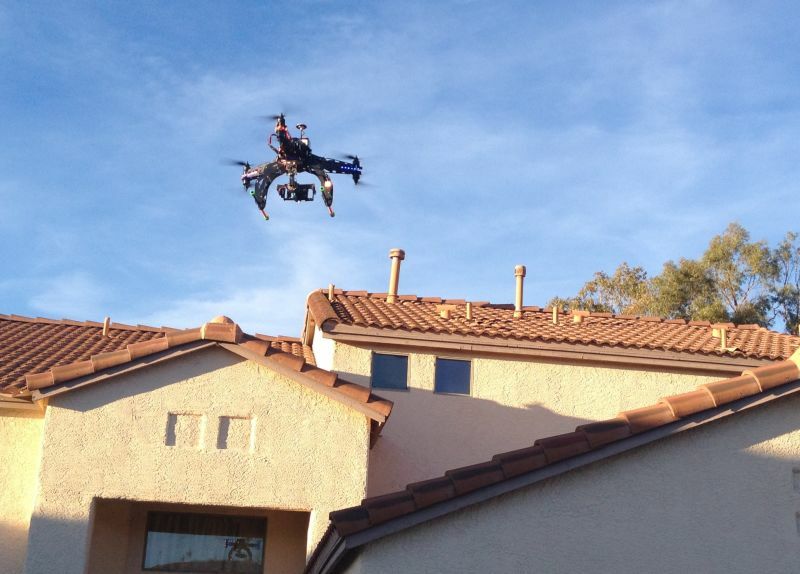 Police Drones: Public Safety Boon or Privacy Invasion? California law enforcement agencies are looking to fly drones as an affordable and efficient way to monitor crime scenes, pursue suspects and search for lost hikers. But the capability of the unmanned aircraft to intrude on private spaces and videotape people from afar has raised major red flags among privacy advocates. California lawmakers will try to strike a balance between protecting civil liberties and aiding crime-fighting when the Legislature reconvenes Monday and faces a Sept. 11 deadline to pass several bills related to drones. The consideration comes as the use of drones by law enforcement is in its early stages in the country. The Federal Aviation Administration has greenlighted more than 100 agencies to fly unmanned aircraft, including the Ventura County Sheriff's Office in California. Federal rules focus on air traffic safety, not privacy, prompting some advocates to call on states and courts to fill the gap before drones become widely used, smaller and more advanced. "They have an enormous capacity to intrude upon personal privacy in a way that no technology currently, or in the past, has allowed," said Kevin Baker, a lobbyist for the American Civil Liberties Union. "We want to establish a clear set of guidelines up front." Assemblyman Bill Quirk, D-Hayward, is proposing to set those guidelines with a bill requiring warrants for surveillance operations over private property. In addition, law enforcement agencies would have to develop privacy policies and abide by standards for storing and deleting footage. The ACLU, however, laments that Assembly Bill 56 doesn't go far enough to restrict surveillance in public places and says it should require local elected bodies to approve use of the technology. Law enforcement groups also criticize the bill, saying it would present practical problems when suspects followed by drones weave through public and private places. "There's a middle ground that nobody likes," Quirk said, stressing that limits must be laid out in law before authorities are able to keep an entire city under surveillance. "We have to be very careful about something like that," he said. Gov. Jerry Brown vetoed legislation last year that would have required a judge's approval for police to conduct some searches with unmanned aircraft, mandating that footage be destroyed after a year. Brown said the measure was too restrictive on law enforcement -- even though 17 other states require warrants. The California Police Chiefs Association sponsored competing drone legislation with softer requirements for warrants and safeguarding footage. However, Senate Bill 262 by state Sen. Cathleen Galgiani, D-Stockton, failed to get out of a Senate committee. Alameda County Sheriff's Sgt. J.D. Nelson acknowledged that privacy concerns over drones are valid, including worry about the two quadcopters recently purchased by his department. However, other advanced technology has the same potential for abuse -- from computer records to remotely operated bomb squad robots, he said. "No question, drones evoke a certain reaction," Nelson said. "If you misuse drones, you are going to get lambasted by the public. And you should." Authorities say concerns could stem from the use of remotely operated military planes that kill suspected terrorists abroad. "What sheriffs' departments are using is closer to the guy in the mall flying a little RC 'copter with a Go-Pro camera than a Predator helicopter that's going to be circulating above a city and taking pictures of everyone," said Aaron Maguire, a lobbyist for the California State Sheriffs' Association, which supports a ban on armed drones. Alameda County officials say its drones, which cost less than $50,000 each, are an affordable alternative to multimillion-dollar helicopters. The sheriff's office held public meetings before buying the drones and accepted ACLU recommendations in setting policies. While lawmakers try to pre-empt problems with police drones, they are also dealing with the consequences of drones interfering with firefighting helicopters and other planes, and aiding neighborhood snoops. Sen. Ted Gaines, R-Rocklin, and Assemblyman Mike Gatto, D-Glendale, are carrying bills that would make it a crime to intentionally fly drones over prisons, public schools and near wildfire-fighting helicopters. Two other bills would extend privacy laws that prohibit people from snooping around backyards and sending small planes over houses.